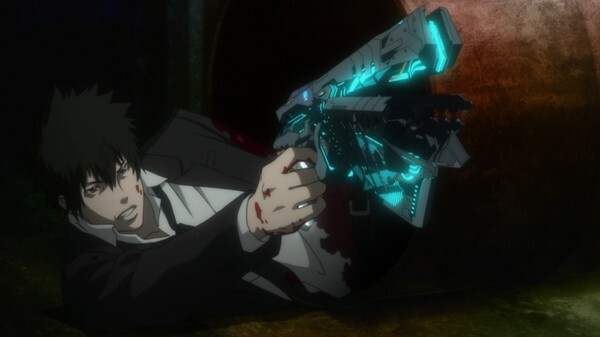 "Psycho-Pass Collection Two" contains the final half of this season of this animated science fiction crime series. 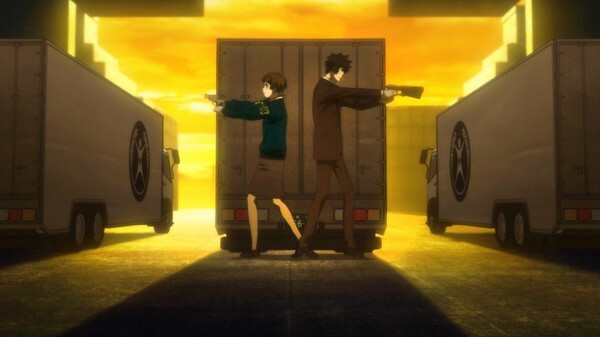 This show is about a detective named Akane Tsunemori who is in charge of leading a group of detectives known as "Enforcers" who are former criminals themselves as they believe the best way to catch criminals is to use criminals themselves. 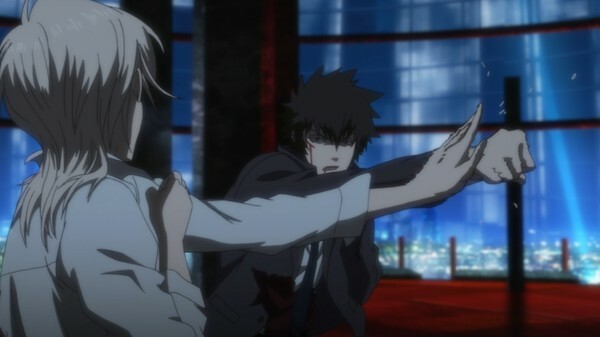 After solving a series of brutal crimes they find out that they were all part of a plan of criminal mastermind named Shogo Makishima. Turns out those brutal crimes were just the start as Shogo has invented a helmet that has the capabilities to let people do terrible things in public without being struck down by the law. Chaos spreads quickly as more and more people buy the helmet but the good citizens aren't willing to let them take over so they start to fight back in a style that's just as barbaric. While this might sound like that the world is coming to the end, this is only "phase one" of Shogo's plan as he has much darker stuff planned. How will our gang of dics to put a stop to this madness? Even if they do manage, they might end up regretting that decision as there's something terrifying in their HQ will change the way you think about this show (no, it isn't anything silly like a hybrid monster lovechild of Godzilla and Mr. Bean). (Click "Read More" to read the full review). Story in this half of the show was written well with a very intelligent setting that could end up being "science fact" in the next one-hundred years. I did find the whole idea of being controlled by a government system where you are judged by stress levels to be a little creepy but it worked really well as that creepy feeling came from the great atmosphere this show builds. Compared to the first half where we had some very dark stuff going on that even had me a little creeped out, this half isn't anyway near as dark but still dark nonetheless to where you'll see some brutal scenes of violence that reminded me of the "sledgehammer scene" from "The Texas Chainsaw Massacre (1974)". The violence is a bit weird in this show also as while you do get those brutal realistic violence that I had just mentioned, you also get scenes of violence that were a bit over the top to where it reminded me of "Total Recall (1990)". While the blend is weird I didn't find the styles to clash as they worked alongside each other pretty well. This half of the show both increases and tones down on certain elements as there is less investigation and more action. This wasn't done in a mindless way either as it was very appropriately done as you want this show to have more action as they are getting very close to capturing the bad guy and you know that he won't go down so easily. One thing I didn't like about the action and violence is that one minute this show is showing it in it's full bloody glory, then for some odd reason they censor it for a few more shots and then they show it in it's full bloody glory again. The self censoring was very pointless as there was no reason for doing that and it just got in the way. The amount of drama in this half is the same as the first half and it was very good as the mixture of the action and drama drew me in making it a very addictive show to watch as it felt very natural and not forced at all. This show also likes to reference a whole bunch of classic books like: "Heart of Darkness (1899)", "Gulliver's Travels (1726)", and "Do Androids Dream of Electric Sheep? (1968)". 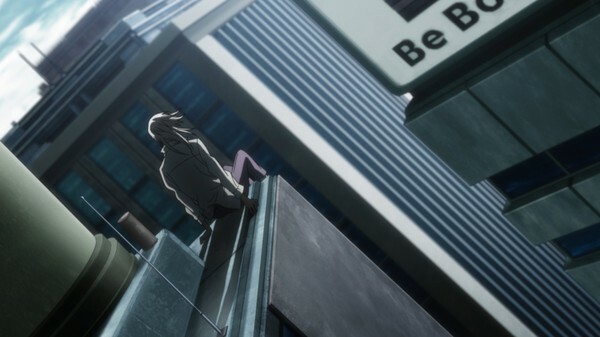 The reason why I mention this is because a good chunk of the time when anime references stuff like that it comes off as very pretentious and forced however the references found in this show were used in a very natural way and ended up being enjoyable. Characters in this show were very good and you'll fall in love with both the goodies and the baddies as they were all well done with interesting and unique personalities. This is also a show where fan-bases will be split on who they think are right as both sides have good points on how life in the year 2113 should be lived and it'll really get you thinking, that's great as it makes the show not as "black and white" although it is still also very clear on who is the bad/good guy all at the same time. Another weird thing I found with this show was that this volume opens up with an origin episode about some of the side-characters. Both the placing and content of the episode felt very random to where I didn't expect it coming. While I did end up liking the contents of the episode I found that it should've been put in the special features section as the suddenness of it will throw you off the main story. Art-work in this show looked spectacular with very detailed backgrounds that capture the whole "noir" and "science fiction" looks perfectly. Character designs were good and I did like the fashion that's portrayed with their clothing as just like the backgrounds it worked perfectly with the style of the show. Some characters did suffer from looking a little unoriginal to where it looks like that I am re-watching "Spike Vs. Vicious" from the show "Cowboy Bebop (1998)" all over again. Animation in this show was very solid with only a very few scenes having some choppy animation. The English dub in this show was also very solid with voices that worked quite well with all of the characters. Acting was good with nice detailing put into it and didn't sound rushed at all. Music soundtrack to this show was awesome with a nice atmospheric sound that really sets the mood to each scene perfectly. There's a satisfying amount of special features included in this volume. You get "Episode Commentaries" on "Episode Thirteen" and "Episode Eighteen" (AKA the second and seventh episodes of this volume) featuring some of the cast that did the English dub and the Director of the English dub also appears on the commentary for "Episode Eighteen". The commentary tracks were decent with a lot of talk about the sci-fi aspect of the show plus what it was like directing and dubbing on this show. 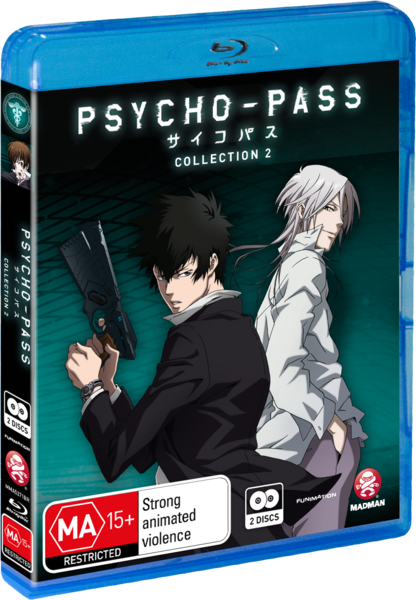 This set also includes "Psycho-Pass at Sakura Con 2013 Part Two" featuring the second half of the interview with the Director and Producers of this show, footage of cosplayers, and footage of autograph signings. The interview was very good with some very smart and interesting answers that kept me tuning in. The rest of the con footage was alright and was nice to see but you'll be watching this one for the interview. The interview does include English subtitles as the Director and Producers speak in Japanese. There're also text-less opening and closing sequences and both of them were very fun to watch as they had great visuals and just as great music. I especially liked the opening credits as it has a noir style that really suits the show and it also reminded me of intros of anime from the late 1990's, like "Cowboy Bebop (1998)" and "Gunsmith Cats (1995 - 1996)". The closing credits had a very smooth jazz vibe to the looks that make you feel calm and relaxed. Lastly you get the "U.S. Trailer" and it wasn't bad as I did like the trippy sci-fi style and it did remind me of the old "Toonami" ads that aired on Cartoon Network back in 2001. My problem with the trailer is that it gave away a little too much that went on in the show as this isn't the kind of show that should be spoiled. Overall this was a really great second half and a really great show in general. I'm easily going to give this show a "yes" rating and I'm not just recommending this show to anime fans as people who are really into science fiction would also get a huge kick out of this show. Great viewing.